With the addition of these stacker doors, this living space has doubled in size creating the ultimate entertaining area. This style of door allows for an easy flow through from the internal living space to the external. 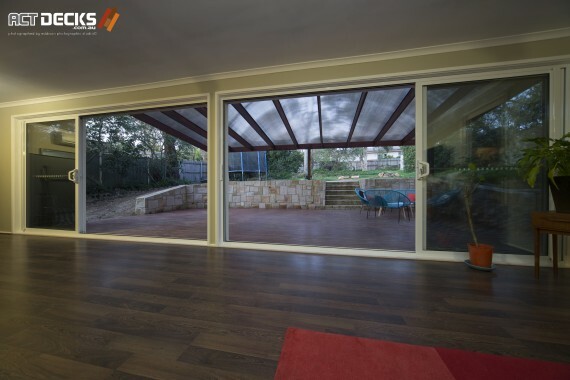 Even when closed, these glass stacker doors create an openness to the space. 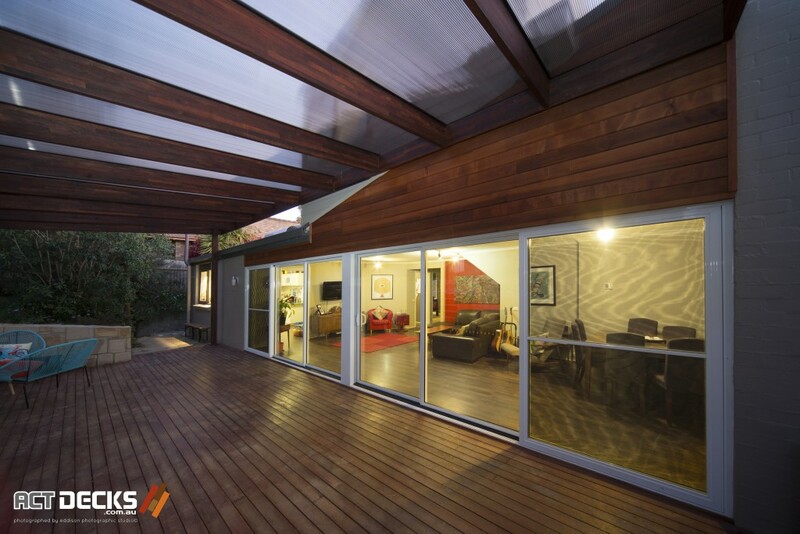 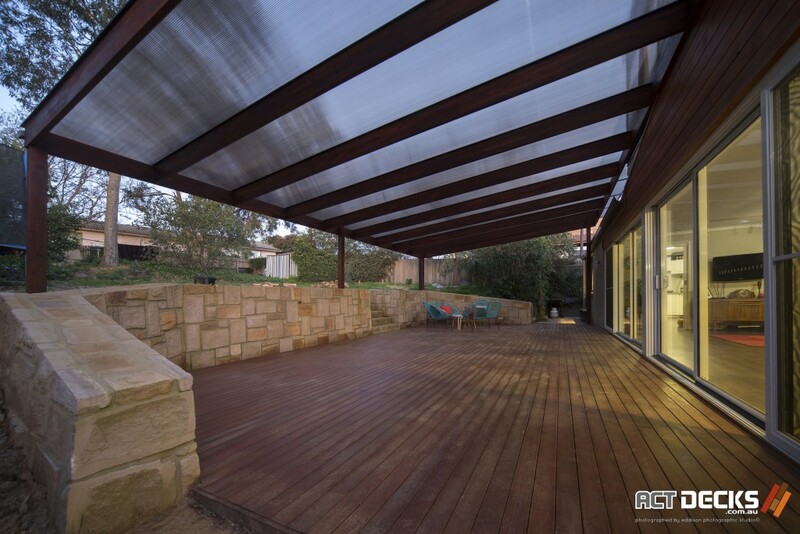 The decision to use the Ampelite roofing system on the pergola has allowed for this large alfresco living space to be livable in all seasons and without compromising on the natural light filtering through into the internal living area.